There are quirky picture books. There are funny picture books. There are clever picture books. And then sometimes there are picture books like this one — sweet, simple and the perfect bonding experience for parent and child. 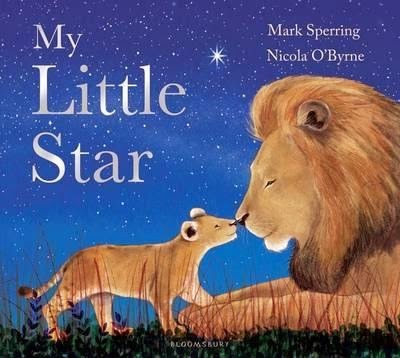 My Little Star is a lullaby in picture book form. From lions to seals, from penguins to pandas, from koalas to rhinoceroses, all the animals cuddle up and say goodnight to their young ones at bedtime. In gentle rhyming text, they 'whisper something crystal clear — words meant just for you to hear … You are my little star.' And as each little one drifts off to sleep, they know that they are loved and mean the world to their parents. Beautiful illustrations, beautiful words, and the perfect gift for every parent of a newborn.